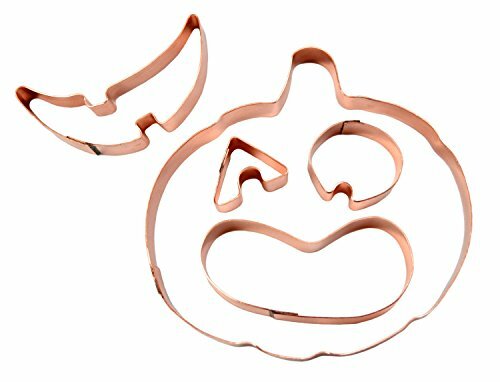 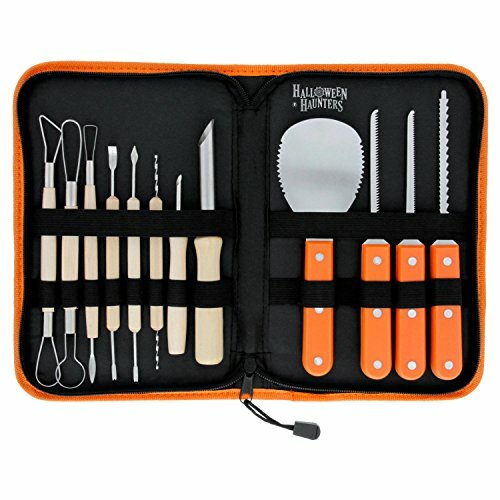 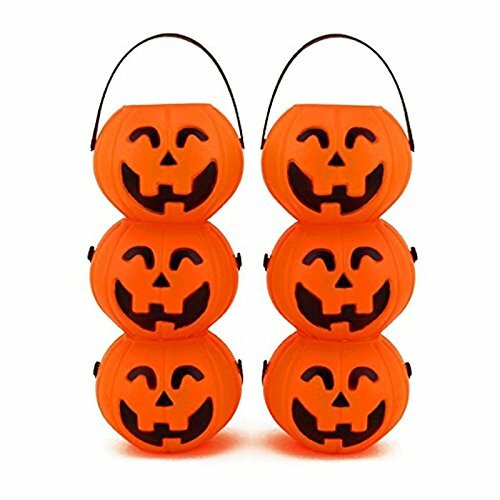 These Mini Plastic Jack O Lantern Pumpkin Halloween Party Favor Candy Bucket Pails Table Decoration Prop measure approximately: 2.7" L x 2.3" H. They measure approximately 3.5" with Handle. 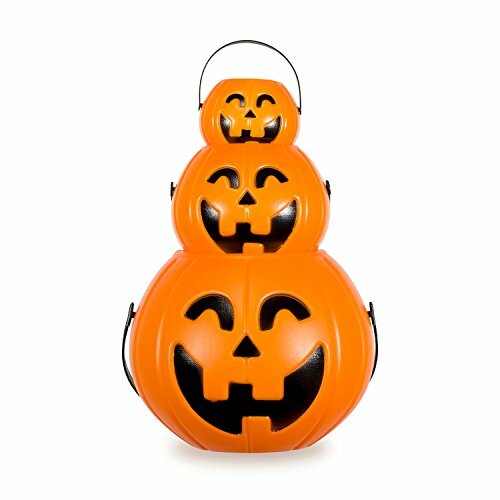 Perfect for a Halloween Birthday Party Favor Candy Buckets for guests. 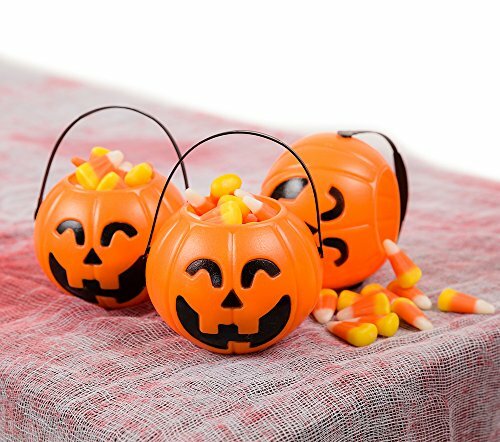 Fill them with candy or a Small Tea light for a decoration. 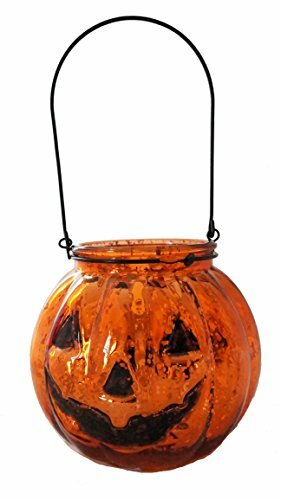 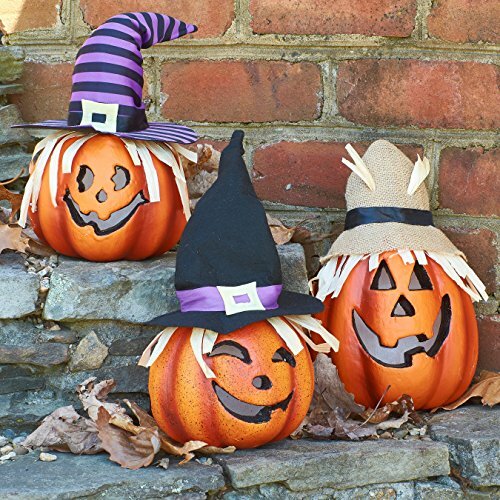 Line a porch, walkway, or window sill with our Jack O'Lantern mercury glass candle holders! 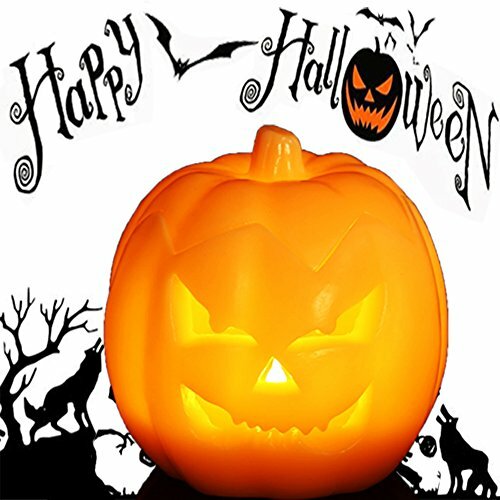 Nice thick orange mercury glass. 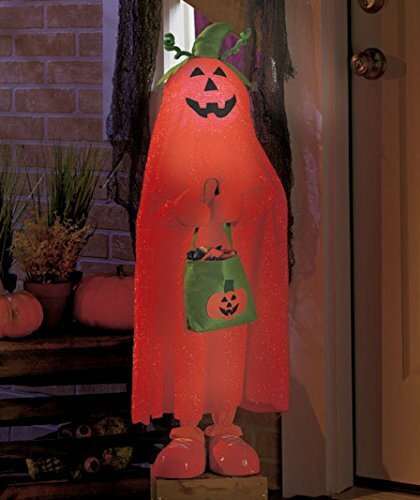 Just add your own tealights or small votives for a spooky glow! 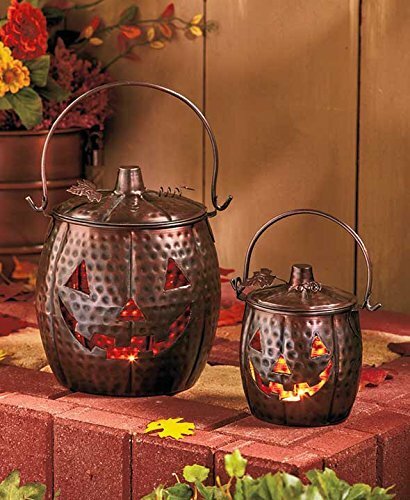 Swinging metal handle makes the candleholder easy to hang or tote around.